It is possible to dispose of drains in many ways, but the customer chooses the one that is acceptable to him or suitable for financial calculations. Among the options offered, the filter well remains the most popular. 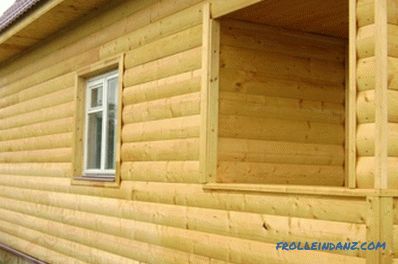 Such constructions are used at summer cottages, namely, where there is not much water. 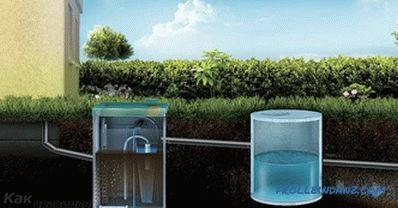 The filter well is designed for recycling and waste disposal by cleaning and "transfer" of water into the soil, thereby removing it from the site. For such a structure to function normally, sandy or sandy soils are necessary. When constructing it, it is necessary that a distance of 30 meters remains between the well and the house. Build a filter well with your own hands is not easy, but possible. 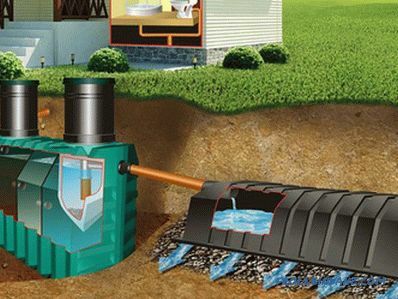 The filter well is a system that is a pipe that removes sewage from the house towards the septic tank (settling chamber) without any help. The fluid is transferred to the filter well, where it is cleaned and discharged into the ground. This type of well resembles a shaft with a depth of 3 meters. The inner part of the structure can be constructed from reinforced concrete rings or from bricks. In some cases, you can use other materials. The area of ​​the well depends on the type of soil, that is, each type of soil is able to filter a certain amount of water per day. After calculating the area of ​​the filter well, it is necessary to determine the number of mines that will ensure the normal outflow of waste water. For example, sandy soil can process about 100 liters of water per day. Experts recommend building a filtering well shallow - 2x2 and 2.5 meters deep. 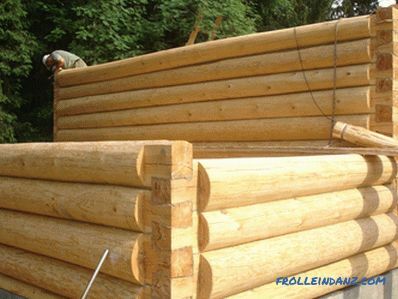 If one well does not cope with the task, it is necessary to build several filter structures. The distance between them is great. It is calculated based on the diameter of an already existing well multiplied by two. As practice has shown, the most reliable structure for cleaning drains was a structure made of concrete rings. They are installed in increments of 0.2 meters, observing chess order. 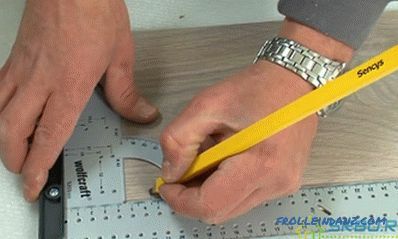 Make holes at least 5 cm wide. If a well is built of brick, then such holes should also be left in it during laying, that is, the gaps between adjacent bricks are made larger than usual. A drain pipe should be installed above the bottom filter (approximately 10 cm), slightly tilting it. 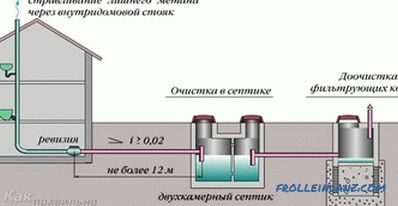 In the center of the well, it is necessary to lower the end of this pipe product and place a container under it. In this container there should be small openings for the delivery of water there. 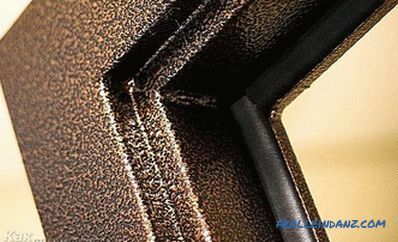 The filter must be made of coarse-grained and fine-grained material, for example, crushed stone, sand and others. Large fragments of filter materials should be located in the central part of the well, while small at its edges. The upper part of the cleaning structure should be covered with a lid, which can be made of wood or reinforced concrete. Do not forget about Laz. It must be of a certain size and have an entrance closed by a pair of covers. One of them protects against freezing. 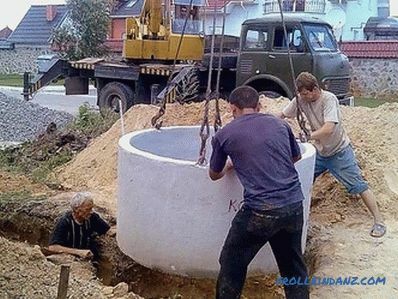 The manhole diameter should be 70 cm. The filter construction is covered with a special lid with a hatch. In order to prevent the waste water from freezing in winter, a heat-insulating layer, which can be made of sackcloth, mineral wool or other means, is settled between the lids. From above it is necessary to lay a layer of roofing material, and then pour the soil. The thickness of such a protective layer is 50 cm. The outer part of the structure is covered with sand to the level of a pipe whose width is 50 cm. A stone is placed at the bottom of the well so that the filter does not wash away the water from above. In the central part of the mine should be an air cavity, which is covered with a cap with a fixed pipe for ventilation. 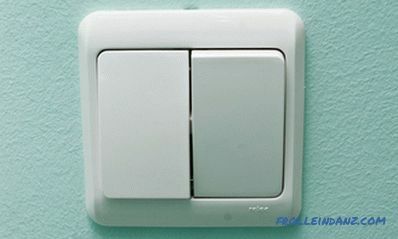 The ventilation pipe is purchased with a height of 1 meter or more and a diameter of about 100 mm. In order for your well not to spoil the general appearance of the site, you can disguise it as a flowerbed or other structure. If there is only clay soil near the country house, the use of a filtering well is not allowed under any circumstances, as the clay is not able to absorb enough water that will ensure the normal operation of the structure. Do not forget that the high level of groundwater will not be able to provide optimal absorption of wastewater. A special pipe sewage enters the well.Gradually, the liquid seeps through the filter made in the middle of the design and the holes in the soil. Water that has been cleaned gradually flows into the ground. In some cases, the filter well is used as an alternative for underground fields. 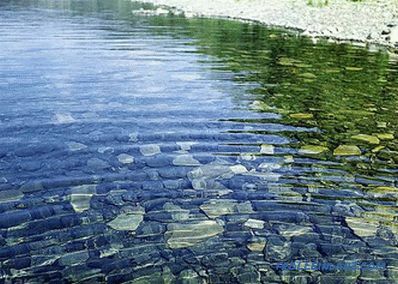 The filtering well is indispensable for a large area. Build it is simple, but you need to follow some rules. Do you have a filter well at the site? How did you build it and from what materials? Share your experience with us by leaving comments on the article. How to efficiently and quickly arrange a sewage treatment system in a country house can be seen in the presented video.